In designing this piece, I attempted to convey a feeling of escaping the bonds imposed by gravity. 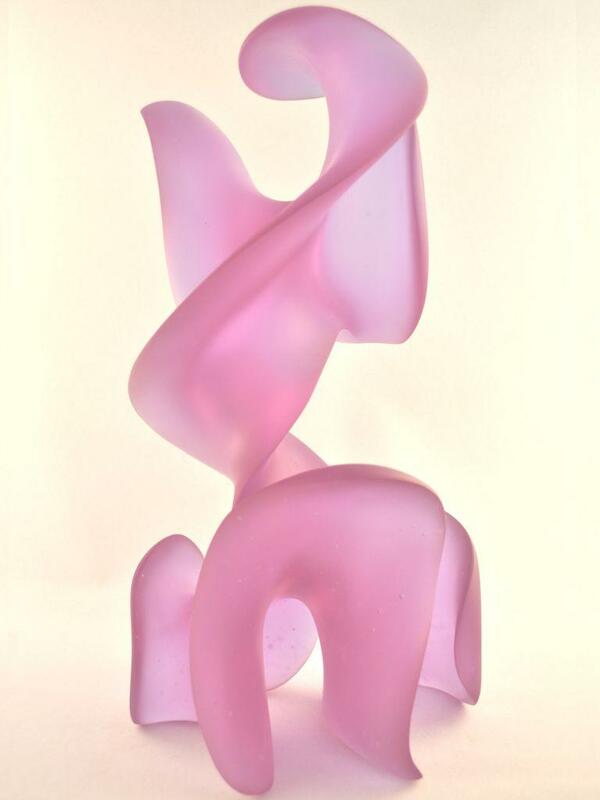 Up-swept glass sculpture, vertical and free. 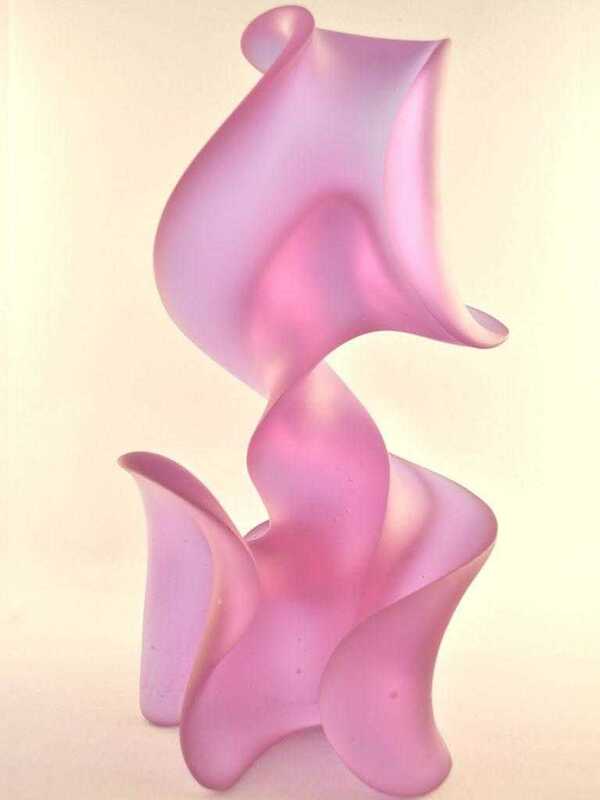 Aurora is cast in dichroic crystal, meaning it changes color from pink to lavender in different light sources. The manufacturer calls the color Lilac. In the creation process, I made another of my discoveries about my new medium. First, some background. Before a wax sculpture can go to the foundry, the surface has to be smooth and polished. No pits, dings, tool marks, etc. Why? Because everything on the surface appears on the finished piece. Now, sanding wax is a perverse endeavor, no matter how necessary it is to finishing. But I was carrying it way too far – to finer and finer grits – until a sculptor friend told me a trick. After the first sanding, rub the entire piece down with a rag soaked in kerosene. Smelly and messy, yes, but it dissolves the surface, gives a great finish, and saves me a lot of frustration.